Offering a high standard of accommodation in a secluded retreat, this 4-room lodge caters purely to couples and single, independent travellers. 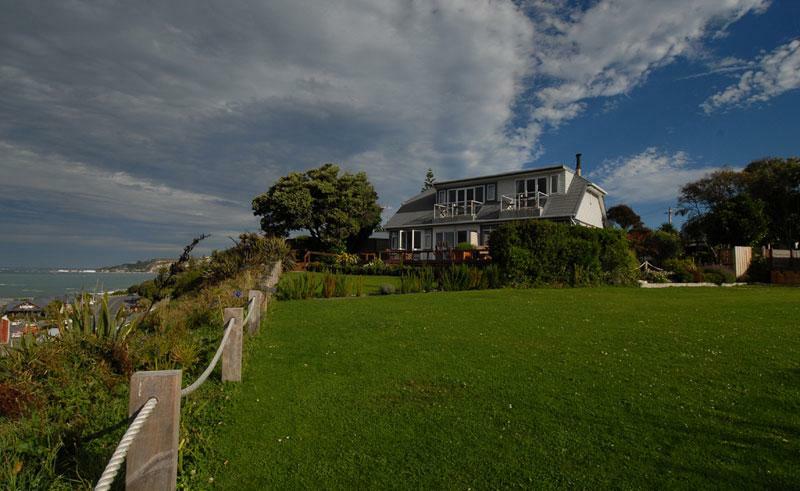 Overlooking the township of Kaikoura and with spectacular views of the Seaward Kaikoura Mountain Range as it meets the turbulent Pacific Ocean, this is an establishment for those seeking peace and privacy. Days here begin with stunning views of the mountains and ocean that are revealed on each room’s balcony, while guests enjoy a gourmet breakfast of fine New Zealand fare. Although the hotel itself does not offer a restaurant, the town of Kaikoura stretching out below is famous for its seafood, particularly the crayfish, and your hosts at the Lemon Tree Lodge will be happy to recommend one or two of their favourite eateries. Evenings can be spent in a luxury hot tub that provides marvellous, 40 degree waters in which to take in the beautiful vista. The rooms are comfortable and individually-decorated, feature private bathrooms with hairdryer, mini-fridge and coffee and tea making facilities.